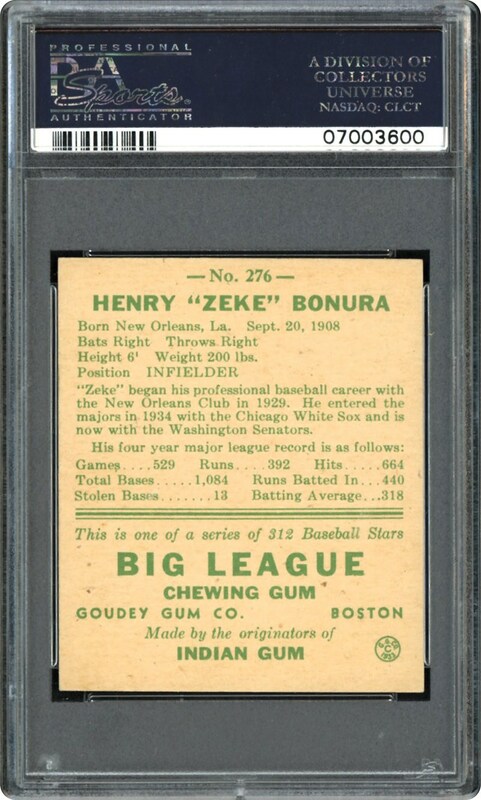 A spectacular PSA NM/MT 8 offering this Zeke Bonura gem has outdistanced "father-time" to retain virtually its entire original factory issued attributes. 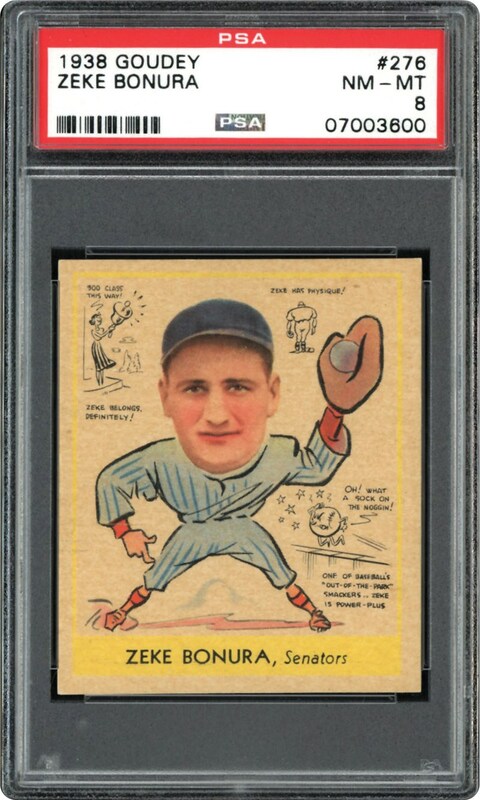 Substantiating its "scarce for the grade" notion is the illustrious PSA "Pop" chart that lists only six other examples at this lofty tier and a meager two specimens graded higher. The vibrant central image is encompassed by a radiant yellow frame that is well-positioned within the razor-sharp perimeter. No glaring flaws are evident on either side, the final compliment for this seldom- surfacing cardboard prize that has only been bested by a mere two other subjects!